With help of these shortcuts, you'll be navigating or searching in PeopleTools much faster. Moves to the Search or Add button on a search or look up page. 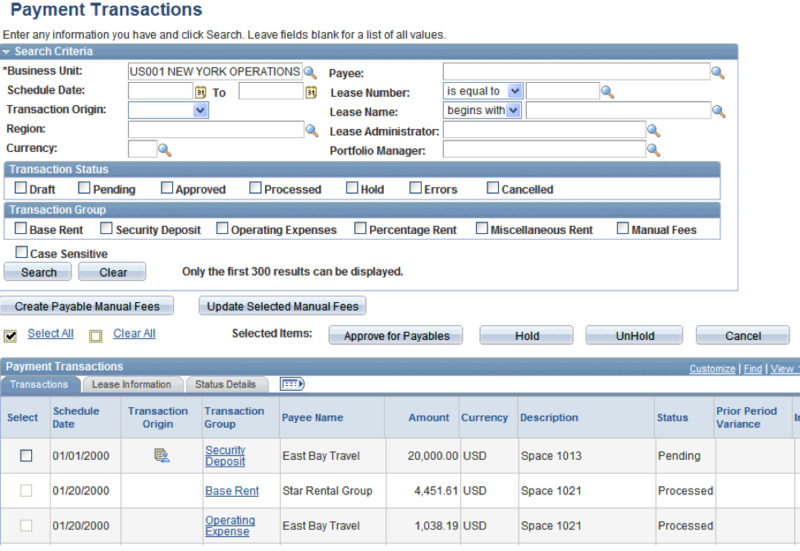 Returns to the search page from the transaction page. Views the previous row the in list when the button is active. Accesses the Look Up page. In Expert Entry mode, activates the Refresh button, which validates the data entered on the page. Displays the system information page if configured by an administrator to appear. On a look up page, activates the Lookup button. Accesses page bar elements, such as Help..
Varies based on context: In an expanded menu, moves one item upward through the list of folders and content references. When moving through the navigation path, collapses the drop-down menu item. Varies based on context: In an expanded menu, moves one item downward through the list of folders and content references. When moving through the navigation path, expands the drop-down menu item. Note: This functionality applies only to left-to-right languages. Varies based on context: In an expanded menu, opens a folder to the right so that subfolders or content references appear. When moving through the navigation path, accesses the next menu item to the right. Note: This functionality applies only to right-to-left languages. Varies based on context: In an expanded menu, closes the current folder and sets focus on its parent folder. When moving through the navigation path, accesses the next menu item to the right. Note: Left-to-right languages only. Varies based on context: In an expanded menu, closes the current folder and sets focus on its parent folder. When moving through the navigation path, accesses the next menu item to the left. Varies based on context: Note: Right-to-left languages only. In an expanded menu, opens a folder to the right so that subfolders or content references appear. When moving through the navigation path, accesses the next menu item to the left. Closes all open menu items. Collapses all expanded menus. Note: The drop-down menu is the default navigation type in both standard and Accessible modes. PeopleTools consists of paid software like Campus Solutions, Customer Relationship Management, Enterprise Performance Management etc. originally developed by PeopleSoft. The software vendor is acquired by Oracle in 2004. What is your favorite Oracle PeopleTools hotkey? Do you have any useful tips for program? Let other users know below.